Self-driving vehicles were the stuff of imaginations back in the 1930s. Almost a century into the future, that vivid imagination became a reality. This age of modernization within the trucking industry astounds and mortifies society at the same time. Because while the idea of self-driving trucks proves incredible, plenty of cons also appear. And there are many for people who rely on blue-collar jobs to make a living. McAleer Law recorded some astounding statistics regarding truck accidents that occur. Approximately every 15 minutes, a person dies or is seriously injured in an accident caused by 18-wheeler trucks. And each year, around 500,000 trucking accidents occur in the United States with about 5,000 resulting in death. And as most of these accidents are caused by human errors, an AI operated truck is less likely to meet or even instigate a traffic-related accident. You can program a computer to follow the traffic rules and drive with adherence to the speed limit. They also stop at generous distances. They work splendidly in situations where human drivers err. And its biggest bonus: a computer will never get distracted. This, of course, doesn’t mean autonomous trucks are completely safe and accident-proof. Only time will tell when these vehicles hit the road. The upside to having a self-driving truck in the company is reducing manpower costs. It’s a large investment at first, but the prospect of its benefits overshadow the astronomical prices in the long run. This is expected to pay-off through increased efficiency. GTG Technology Group remarked on how some people believe that autonomous vehicles can help with time management. And while that is a perfectly plausible idea, today’s technology still relies on a ‘co-pilot.’ The AI will keep things running, but then a driver’s keen awareness is still needed. There are benefits to be had out of being able to multitask with little to no risks. An AI-powered vehicle will surely be programmed for efficiency and service optimization. They program self-driving trucks to take the most optimal routes to carry out their services. More alternate routes mean less big rigs crowding the highways. It doesn’t solve traffic jam concerns, but it would help a bunch. Steps are being taken to make self-driving trucks as safe as possible. They do a rigorous amount of testings to make sure these vehicles are fit and safe enough to be on the road. But can you imagine what would happen if an autonomous vehicle’s technical aspects were to malfunction? The consequences of such events bring disaster. And we could only imagine the kind of damage it will cause. But that’s only if manufacturing companies fail to assemble these technological wonders properly. Furthermore, there’s also the possibility of cyber criminals hacking into the software and overriding the controls. These autonomous vehicles pave the way for safer roads. But they also open the way for all sorts of new security compromises. We once again link these vehicles’ efficiency with its high maintenance costs. A technological malfunction means costly repairs depending on the damage. And to keep them working in perfect condition, they need regular maintenance. But once again, it all boils down to beneficial investments to avoid accidents in the long run. It’s not much of a disadvantage, but the bill that companies would have to pay would still hurt, right? Perhaps the biggest heartbreak this technology wonder will bring is the loss of jobs. As technology continues to evolve, develop, and reach for greater and better heights, the possibility of it replacing human effort proves unavoidable. Technology just keeps getting better and better. Hype surrounds the induction of self-driving trucks into the trucking industry. But there are more than a few issues to tackle upon its initiation. Nevertheless, we’re sure these manufacturing companies and their partners will find ways to create a balance where everybody will hopefully be satisfied. Because as AI and all its wonders inch its way into the industry, human effort should and can never be replaced. AI may run a system perfectly, but its reliance still lies on humans who program it and make it the way it is. Trucks and machinery are important to any industrialized business. 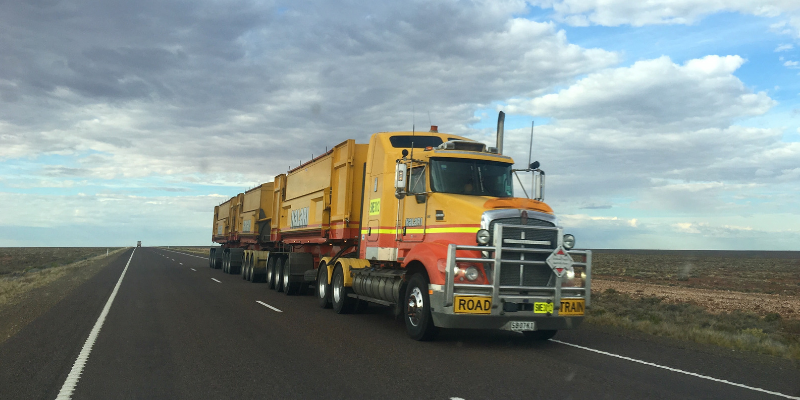 Check out National Trucks — Australia’s premier dealer in supplies and deliveries. And if you’re in need of more information about the wonders of technology, keep browsing through Scoopfed.